To me it doesn't matter if it is the spring or the fall, I always get excited when warblers are migrating through Indiana. Luckily for me, I have been able to get out birding several times over the last few days and the warblers have not disappointed me. 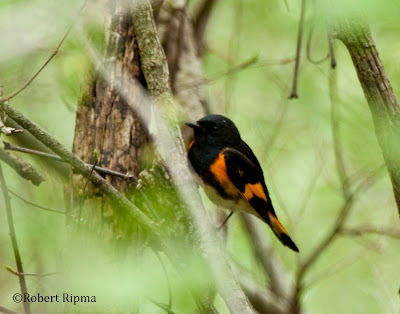 Eagle Creek Park in Indianapolis is good during spring migration but is phenomenal during the fall. I find myself checking the radar every night to see if migration is strong and then trying to figure out how much time I will have to look for warblers at Eagle Creek the next morning. With migration being driven by the north winds that we have had this week, we have found around 20 species of warblers as well as several other migrants. 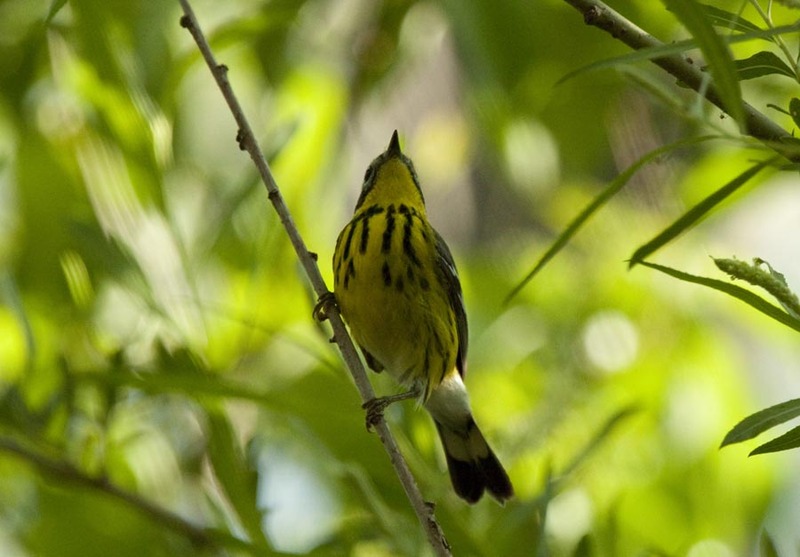 Magnolia Warbler - While very few of the warblers have been anywhere close to breeding colors, all of the Magnolias that we have seen have had very faint streaking. 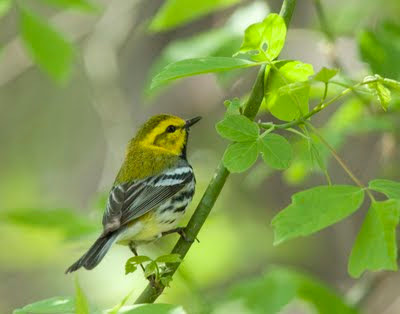 Black-throated Green Warbler - Most of the individuals that we have seen of this species have looked pretty good. 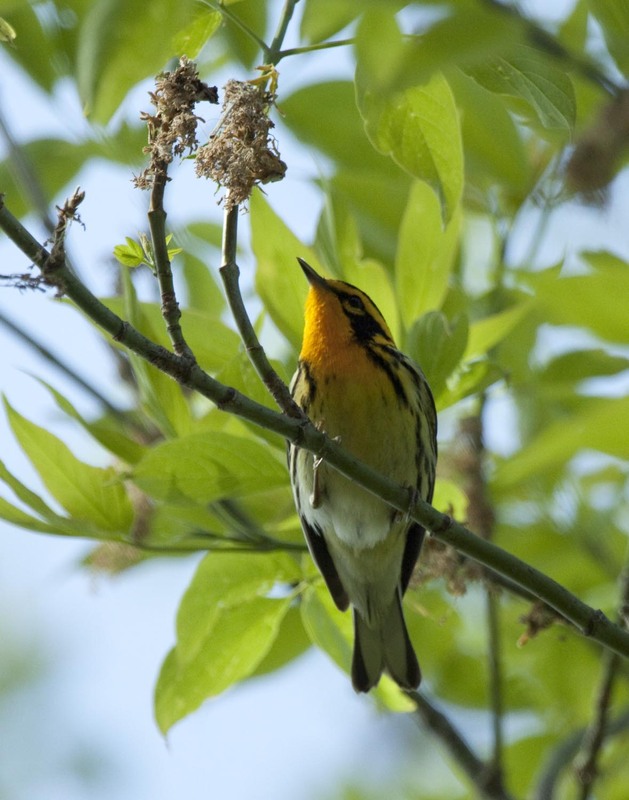 Blackburnian Warbler - There is nothing like seeing this species in the spring but its not too bad looking in the fall either. 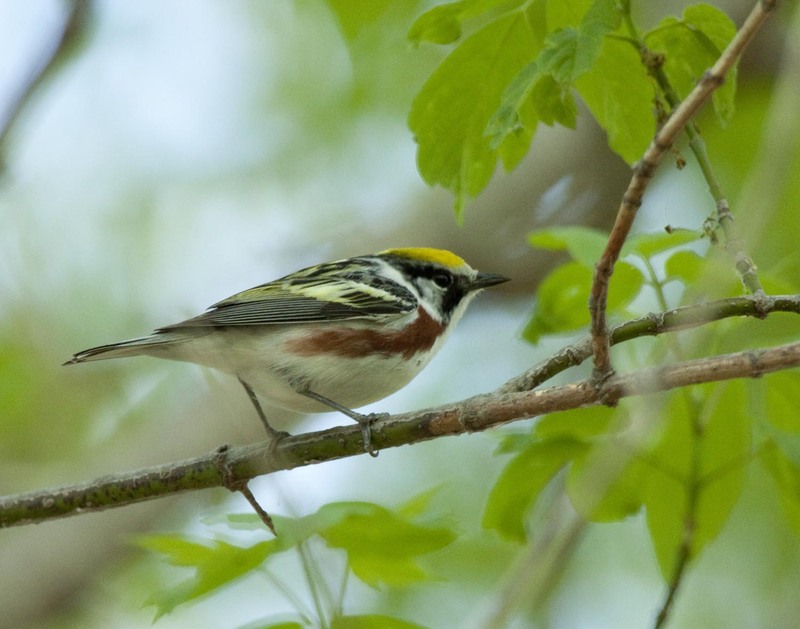 Chestnut-sided Warbler - This species looks quite different in the fall without its chestnut side. 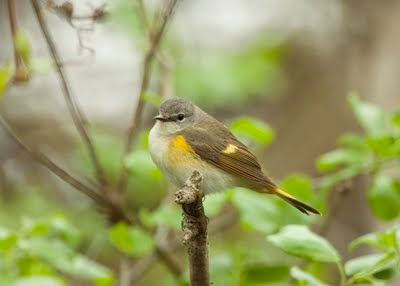 American Redstart (Male) - One of the very few warblers that we have seen this week that retains its breeding plumage. American Redstart (Female) - This is what most of the redstarts we have seen this week look like.